We would like to feature Tharp’s June exposure in STYLE magazine! 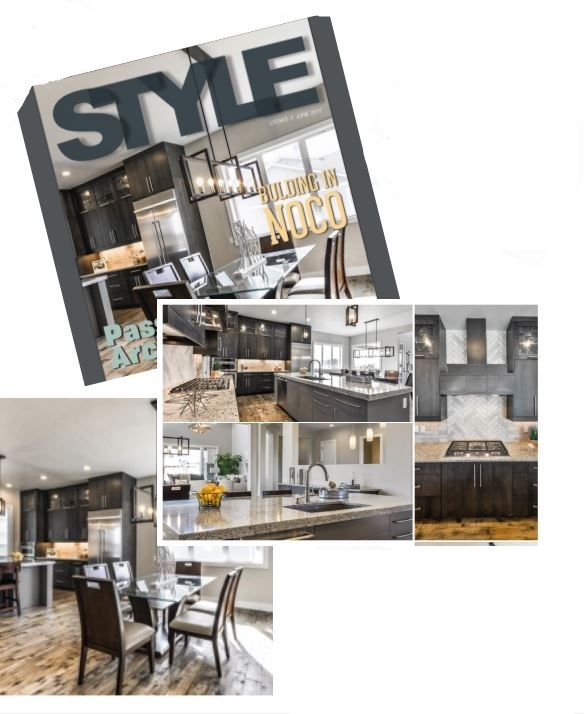 Although not specifically named in the article, the June addition featured an article entitled “Harmony Luxury Golf Course Living”, which featured a few photos that highlighted the kitchen in one of the homes with our cabinets! (see the pictures included). The home featured in the article was one built by Stonefield Homes, LLC. Our very own designer Henry Ramos worked as the designer on the project. The article mentions that one highlight of Stonefield homes are, ’design flow and attention to detail’. The article also quotes Marnie Long, Stonefiled’s exclusive sales and marketing agent, as saying: “But, below the walls our goal is always to be as efficient and quality-driven as we can be.” It also mentions Steve Foran, owner of Stonefield Homes, is insisting that every system or product he puts into his homes meet two criteria: they need to bring value to the client and have longevity. “We’re building a home for the long-run.” – he states. t is flattering that Tharp’s cabinets can be considered in the efficient and quality products offered in homes that are ‘built for the long run’!